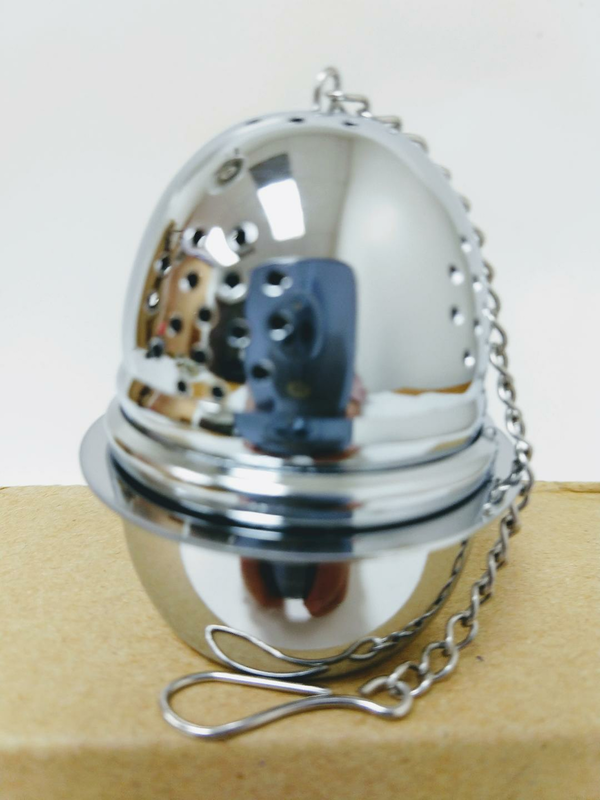 2" tall egg tea ball with holder made of chrome plated brass. Max. half full to allow leaves to expand.